The report “Adherence Packaging Market by System (Unit-dose, Multi-dose) Type (Blister Card, Pouch) Material (Plastic, Paper & Paperboard, Aluminum) End User (Retail, Long-term care facility, Hospital, Mail-order Pharmacies) – Global Forecast to 2022″, The adherence packaging market witnessed healthy growth rate during the last decade and is expected to grow at a CAGR of 6.2% between 2017 and 2022 to reach USD 917.7 Million by 2022. 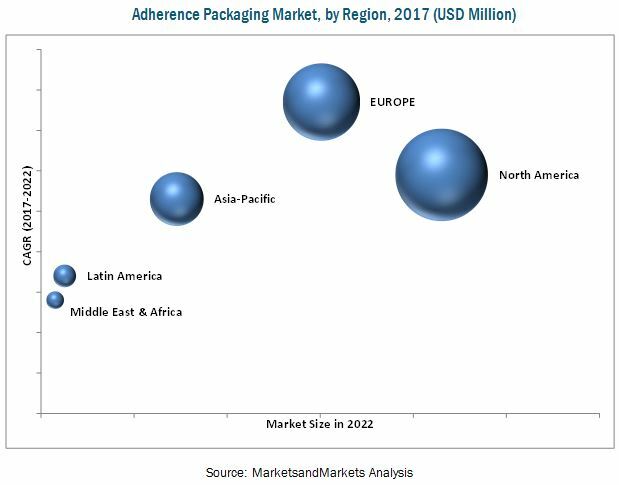 The global adherence packaging market is projected to reach USD 917.7 million by 2022 from an estimated USD 679.1 million in 2017, at a CAGR of 6.2%. The adherence packaging market is consolidated in nature with the top five players commanding a major share of the market. In 2016, Cardinal Health, Inc. (U.S.), Omnicell, Inc. (U.S.), Becton, Dickinson and Company (U.S.), Talyst, LLC (U.S.), and Parata Systems LLC (U.S.) dominated the adherence packaging market and accounted for approximately 55 to 60% share of the global adherence packaging market. Cardinal Health, Inc. dominated the global adherence packaging market in 2016. The company offers Dispill multi-dose Packaging, which is a safer and easier way to help patients adhere to their medication schedules. The company has a strong presence in the U.S. and earns the majority of its revenue from sales in the U.S. The company is focusing on developing products. For instance, in 2014, Cardinal Health launched medication therapy management solution to make it easier for retail pharmacies to improve patient medication adherence. Cardinal Health also focuses on acquisitions to strengthen its position in the market. For instance, in 2015 Cardinal health acquired Medication Therapy Management. This acquisition helped the company to help payers, retail pharmacies, hospitals, and IDNs deliver medication therapy management (MTM) services to eligible patients.